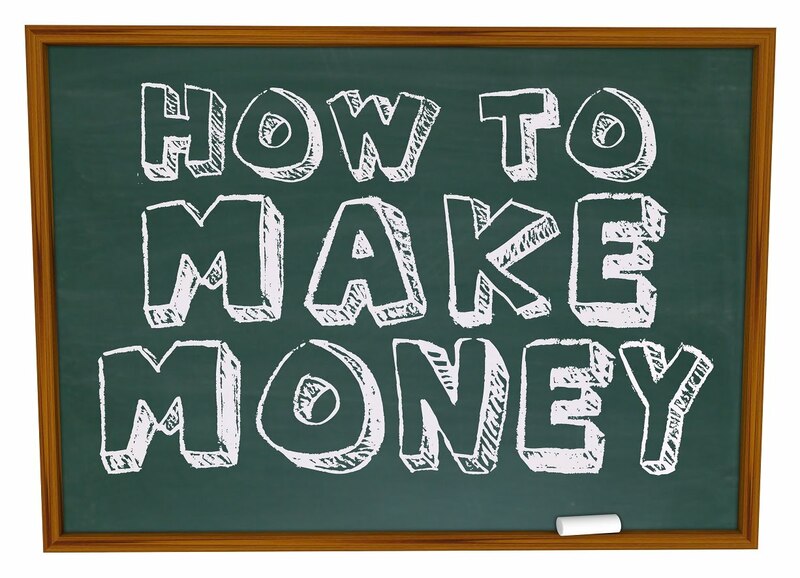 In my site section, How to Start a Blog, I said that the question I received the most from my audience is “how can I make money online?” Truth be told, there are more ways to make money online that I am even aware of. Also, I know plenty of ways to earn money that I don’t actively participate in. For example, there are plenty of services out there that will pay you to write content for them. In fact, I pay a couple writers to draw up content for me on several of my sites each month. There are also people working as virtual assistants that make money hourly, or sometimes on a per project basis, to leave comments on blogs on the behalf of others which helps to increase one’s online presence. Virtual assistants are also great for other menial tasks like record keeping and updating your contact lists, etc. I know several people that engage in this sort of work, I’m just not one of them. I own roughly 30 websites now and am always looking for a good deal on a site with proven monthly earnings. That being said, out of those 30 I created 5 of them from scratch and purchased the other 25. That’s right, I spent a lot of time and money researching purchasing these sites over the past several years. I could probably write an entire post devoted to buying and selling websites. There is so much that goes into the valuation process that took me years to learn and refine. In the beginning I used to be nervous when making any site purchases, but after the first few you get a very good feeling of the potential revenue and subsequent overall value of any site. Owning 30 websites allows me to diversify my risk. Instead of earning money on one site, I earn money across several dozen sites. If one gets hacked with a virus and goes down for the month, I can rest easy knowing I have 29 other sites to fill the earnings void left by that one. 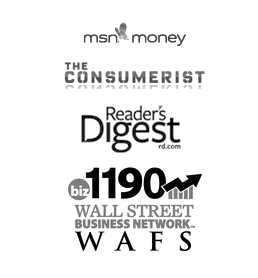 I also have 30 different contact forms that advertisers and media agencies email me through. I then take an email I received about an advertising inquiry into one site and I promote all 30 sites that I own. This has worked like a charm over the years and is precisely why I want to buy more sites. I tend to provide incentives to advertisers as well. The more sites they order on the larger the bulk discount I can provide to them. The above sounds great and all, but you probably want to know specifically what they are buying from me? The more frequent requests I get are article/content requests. They have professionally written content sent over to me and they want it posted on my site, much in the same way that this article you are reading gets posted. The only difference is that I personally wrote this article and they usually write the provided content for me. Sometimes they want an honest and thorough review of a financial site or application that I take the time to write as well. Then there are things like banners and widgets. A banner is usually a small square box somewhere on the homepage of my site that advertises the services of a company. They might be a web design company or perhaps a hosting company, but usually something related to blogging or personal finance. A widget is similar but it a bit more complex. Think of the interest rate calculators on some websites with the drop down lists and all of the fancy calculations. Every time you use one of those on somebody’s website they are most likely making money off of it. Myself included! This revenue stream is my second strongest source of earnings. “Client services” is a really fancy way of saying that what I do above for my personal sites, I also do for other bloggers as well. Specifically, I help other website owners like myself earn money online with the various media and advertising agency contacts that I have come to acquire over the past several years. In return I take a small commission/percentage of whatever revenue I bring to them. There is zero risk on their part since I don’t get paid unless they do. I work with several hundred different bloggers in this fashion and this is actually my highest revenue stream by far. I prefer the ease of advertising on my own sites since I 100% decide on all negotiations, however, I can’t ignore a high volume revenue stream like this one. Just as I’m always building up my own stable of sites, I’m also trying to make contact with more and more interested website owners that want to make money in a similar fashion. I am bit more choosy on who I accept with my advertising services. I have built up an immense amount of trust with the media agencies I do business with and I guarantee all of my work and services, so I am hesitant to do business with any site owner that could potentially harm my reputation. 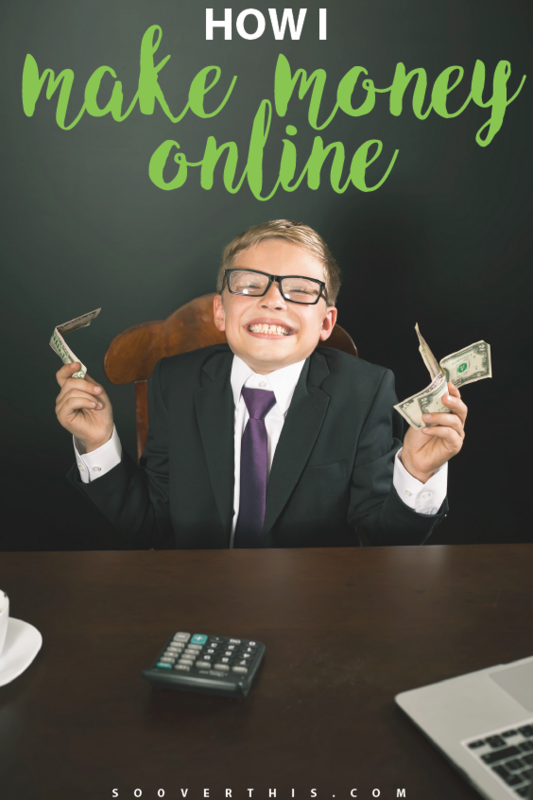 When you earn money online it can be quite a bit more difficult to cultivate relationships and enforce trust and integrity. That’s why it’s so important to maintain it once established. 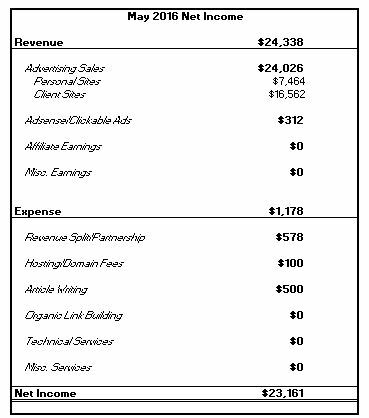 As you can see from my screenshots above, this revenue streams earns me $15,000 or more each month! There is a strong correlation between traffic and making money with Adsense and other clickable advertising. Adsense is Google’s version of per-click advertising. For example, I have banners on my sidebars and footers, and even within the content I write. These banners read cookies from your computer based your most recent searches performed online. They then populate with items related to that search in hopes that you will click on them and want to buy those items. Some sectors are more profitable than others so the earnings heavily depend on what you are clicking on and how far through the process you get. If you simply click on an ad on my site then I might earn $0.50, however, if you follow through and purchase that item and more then I might earn 5% of the total items you purchased. I have had months where I earn only $300 from these ads, and then I have had months where I earned $1,500 from them. 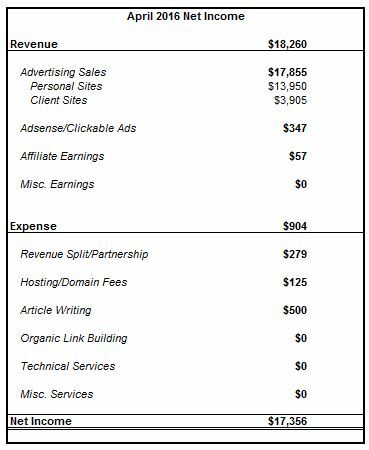 My earnings from this revenue stream used to consistently be above $1,000 each month however I received a lot of complaints that these ads were cluttering the site for my more loyal readers. As such I decided that the advertisements would ONLY be visible to those people that found my site through search engines (i.e. Googling a term and then my site comes up). Fortunately my readership has been steadily increasing. Unfortunately a lot of that increase has come via Facebook and Pinterest, which means the audience coming from those referring sites will never see those clickable ads. Increase affiliate earnings has been my most desired goal this year and I must say I’m disappointed with my results so far. This is easily the most coveted of all revenue streams because it’s the most passive type of earnings and the most engaging and helpful to your audience. Recommending the right sort of affiliate products can truly help your readership base. Likewise, once you write the appropriate content and place the corresponding affiliate links it basically runs on its own for life. A good example of this would be a blogger who writes an entire article about the best credit card out there for rewards and bonuses. Then they conveniently place links within that article that will take you to the credit card application on another site. If you fill out that application and get approved then the cards issuing bank will most likely pay a tidy sum for that. I have several different affiliate links throughout my site, and you may not have even noticed it. I try to only place links to services I believe in, and to ones that will be relevant to my specific audience. For example, my four step tutorial on starting a blog has links to my favorite hosting company that I started with in my early blogging days. I know they were instrumental in me even being able to create my first site, and am more than happy to pass along their information to my readers and friends who inquire about how to start their own websites. My Successes and How to Replicate Them! Those are my four primary sources of generating revenue online. Honestly there isn’t anything complicated about how I make money blogging, it just took some time to get it all going. I’ve known several people personally that were better writers than me, knew coding and various other pieces of technical knowledge, and digital marketing geniuses that knew how to promote their sites on social media to a degree I could never fathom. The ONLY reason why they didn’t succeed at earning money online was because they gave up too quickly, plain and simple. After four or five months they simply became bored and hadn’t earning any money doing it. I think it took about seven or eight months until I earning my first sale, and about the 1 year mark was making a steady $500 a month. It took about 3 years until I was routinely surpassing $10,000 each month, but I eventually did it! They, and you, could do it too. It just takes the initiative of starting your own website and being patient that first year and never giving up! 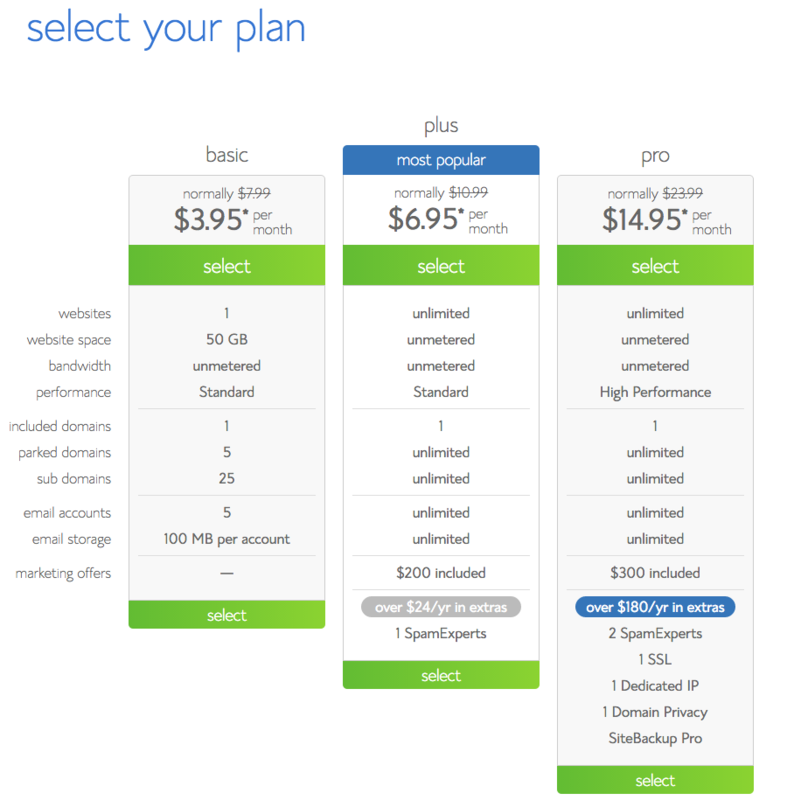 If you’re feeling inspired, below is a list of available plans on Bluehost to get your started with your own site. The sooner you start the quicker you can be earning a living online as well. If you need some additional encouragement and incentive then consider some of the achievements I’ve enjoyed with my online earnings so far. This year I will have surpassed over $1 million in online revenue since I started blogging. 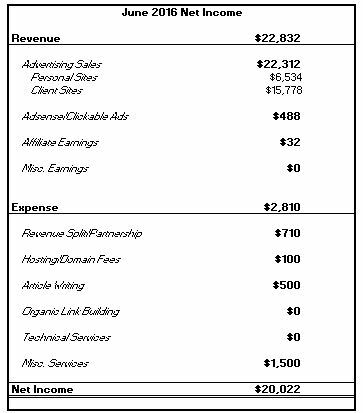 I will have surpassed over $600,000 in earnings (net income) since I started blogging. Stop stalling and start your own site, if you stick it out then you will start earning money and never look back!